The 31-year-old can bench press and overhead press an incredible amount of weight - sometimes with people taking the place of dumbbells. 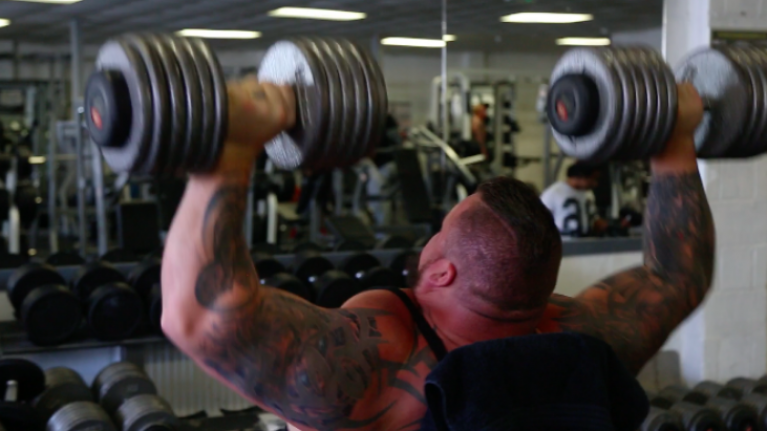 If building bigger shoulders is a goal of yours, taking tips from Hall is the best move you can make. Despite competing in a sport renowned for sheer size, the Staffordshire man has recently been on a weight loss drive - and it's fair to say he's looking ripped. This level of fat loss is rare for a sport such as strongman, so credit has to go to Hall for how rapidly he's burned body fat. 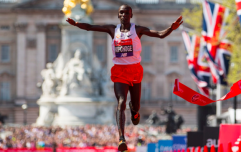 In order to blast that body fat, Hall has not made the age-old mistake of strapping himself to a treadmill and running for hours on end. He has increased the intensity of his regular weights sessions, incorporating super sets, reduced rest periods and a variety of rep ranges. This had the effect of protecting muscle tissue, building cardiovascular endurance and also shedding a sh*tload of calories. No rest between exercises. Repeat for three rounds. Hall's workout is extremely effective because it combines energy systems, requiring excellent cardio and muscle endurance. It also works from an anatomical sense, too. The shoulder muscle is made up of three heads, the anterior (front) head, medial (side) head and the posterior (rear) head. In a very rough sense, the best workout for building bigger shoulders will combine movements that involve front, side and rear raises. 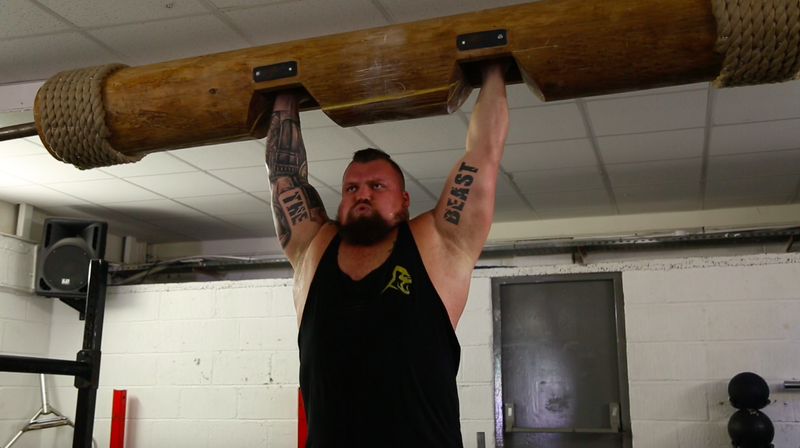 Previously, I trained with Eddie Hall at his home gym of Strength Asylum in Stoke-on-Trent. 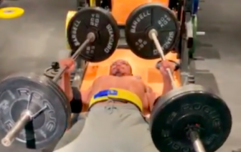 Shoulders were trained on this occasion too - and Hall proceeded to put up a seriously impressive 136 kilogram log press, despite claiming to be working his way back from injury.